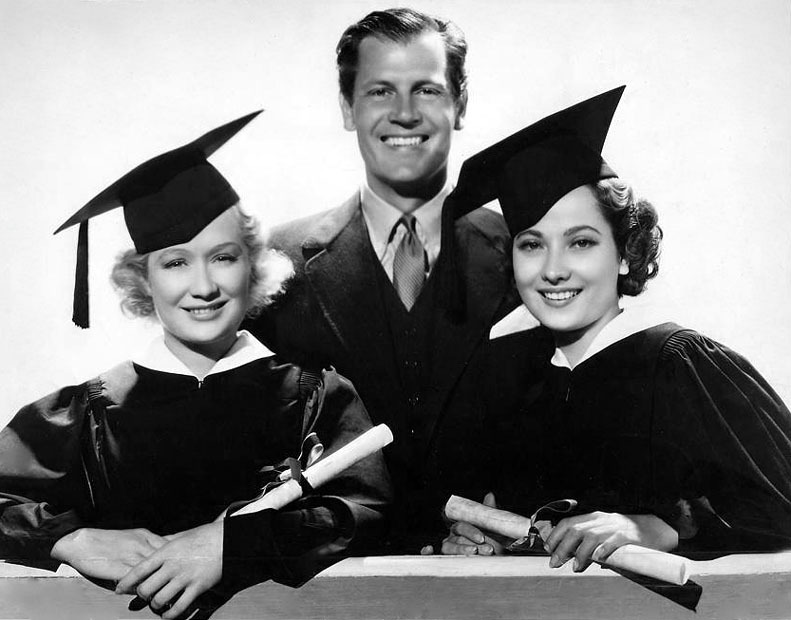 One thing I must fully acknowledge before beginning was that prior to signing up for this Blogathon Miriam Hopkins was not a name I could connect to a face. When I checked her filmography on the IMDb I saw that i had seen her in a few things but it hadn’t stuck with me for some reason. At that point I thought I would pass on the blogathon. However, then I got to following links and I realized that she was in not one but two versions of Lillian Hellman’s The Children’s Hour on the big screen. The opportunity to cover the multiple fascinating angles that affords got me more into. First of all, I find it quite interesting that both she and William Wyler were drawn to the title on more than one occasion. Second, an actor playing two parts in the same story over the course of a career is quite interesting as well. Third, due to the fact that 25 years elapsed between the films it also displays Hopkins at two very different stages in her career. 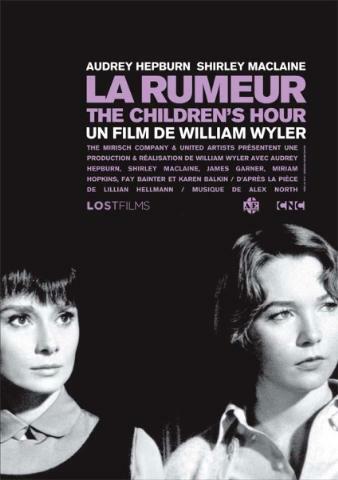 Lastly, what makes these two versions of The Children’s Hour, the earlier called These Three, interesting to compare and contrast is that since the initial adaptation was made in the early days of the Code being fully enforced it’s a rather different treatment of the narrative that removes overt references to lesbianism entirely. In the structuring of this post I will touch on all these topics while attempting to keep a bulk of the discussion on Hopkins, and extrapolate and disseminate other points from that place. To start with I wanted to finally get to read The Children’s Hour. 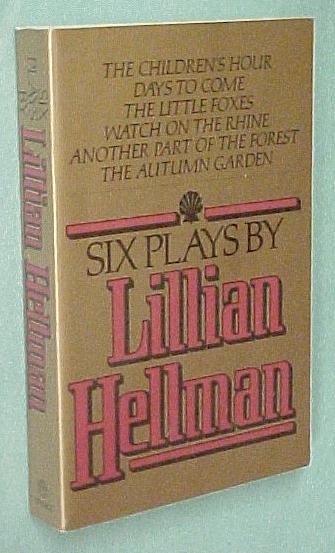 When I was in college, in one of those oh-so-wise syllabus-requirements I was asked to purchase Six Plays by Lillian Hellman even though we were only going to study the Little Foxes. I don’t mind having extra plays, it just seemed a little silly as required reading. I happened upon excerpted reviews of the play on Goodreads before I embarked on reading it that I must say disappointed me a great deal. They did so because they said things to the extent of “it doesn’t seem so shocking now, maybe it was then…” and they would proceed to discuss why they think the play is mediocre. The issue there is that they’re missing the point entirely. Firstly, there’s only a halfway decent rationalization of the time period. Yes, discussing the subject of homosexuality in 1934 carried far more weight, however, I do not think that shock was the sole intent of the play – or even the intent, at most it’s the hook. 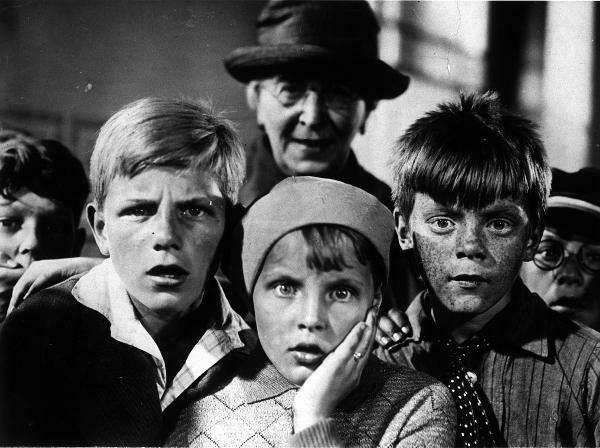 The tale in its original form and in the 1961 film is a tragic one. It’s about perceptions, attitudes, rumors and lies. Furthermore, many of the things that Lillian Hellman wrote in 1934 are still said in America in 2015 when the topic is discussed by some the perceived relationship is described as “unnatural,” “it becomes a great deal more than that when children are involved,” “I don’t understand it. I don’t want any part of it,” “But this isn’t a new sin they tell us we’ve done. Other people aren’t destroyed by it.” Clearly we’re not as advanced as we’d like to think. Some of these very prejudices and perceptions are still bandied about like they make the most sense in the world. Furthermore, a child’s word when they do not understand the totality of what they are insinuating is the same thing that incites the recent Danish film The Hunt. Clearly I think there is still a vitality to this play that belies the date of its first production such that I wouldn’t mind it being revisited anew. However, it clearly struck a nerve in 1934 and remained relevant enough that it was deemed worth of revisiting when film was entering a bolder, new era. Now back to the era at hand when this story first rolled onto the silver screen the liberties Miss Hellman was afforded as a playwright were not the same she would be afforded as a credited screenwriter, not to the studio adapting her work seeing as how the Pre-Code madness was snuffed out and the Code was in full force. In the initial Production Code there is a section on “Impure Love.” In that section is detailed that any sexual congress deemed inappropriate by the Bible were impermissible. It then goes on to detail how things like extra-marital affairs or pre-marital relations should be handled when necessary as plot elements. Banished from even mention in the code was homosexuality. Even miscegenation, was later addressed and strictly forbidden in an amendment. Homosexuality it was understood was not to be broached. It was in fact the “love that dare not speak its name” in his mind. Thus, when dealing with a narrative wherein a child claims her two female teachers have an unnatural relationship not only can Martha not confess that she believes she has loved Karen “the way they said” the entire insinuation has to be struck or risk being banned altogether. Therefore, the story must be told under the guise of something that can be dealt with, but not glorified: a heterosexual love triangle with jealousy. 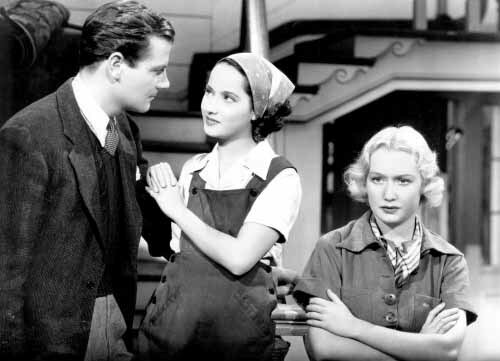 To make the story function in this manner two things were highly necessary: first, a meet-cute treatment for all three with Carden (Joel McCrea) being drawn to romantic interest in Karen (Miriam Hopkins), and just friendly interest with Martha (Merle Oberon). Second, Mary has to be even more the villain in this film than she was in the play. Thanks in large part to the rather spectacular scene-stealing performance by Bonita Granville that is accomplished. Hopkins in this film has a statuesque poise and refinement that make her perfectly suited to the role. There’s a certain authority that lends her character, which while she seems affable enough she also has a no-nonsense approach to dealing with the likes of Mary and a cool patience with the flights of Mrs. Mortar (Catharine Doucet). It would be tedious to quantify but it seems in this version Martha get a much greater share of the screen time. However, the ensemble scenes such as the initial confrontation with Mrs. Tilford (Alma Kruger) are all beautifully handled. Hopkins certainly has no troubles engendering sympathy, and being the heroine getting for us to root for her. Now the story in this version does conclude in a standard Hollywood was (again owing to the code), however, while some say that this film reads as even more of a lesbian love story with the change in dynamics, I do not after first viewing. Yes, I did feel the insinuation nipping around the edge every once in a while, but Rebecca this most certainly is not. One thing that is immediately clear to those that have both read/seen the play and seen this version is that it is far more faithful to the original text than the prior incarnation. With the transformation of the alleged transgression in the first one changing one would think that would be a given, but this film does more closely approximate the play even in its claustrophobic mostly chambered set-pieces. Part of the film being allowed to be so faithful is not just the different era in which it was made but also the involvement of screenwriter John Michael Hayes. Hayes a two-time Academy Award nominee and WGA Lifetime Achievement Award recipient was prior to this film wrote Rear Window, To Catch a Thief, The Trouble with Harry, The Man Who Knew Too Much (1956) and many more. 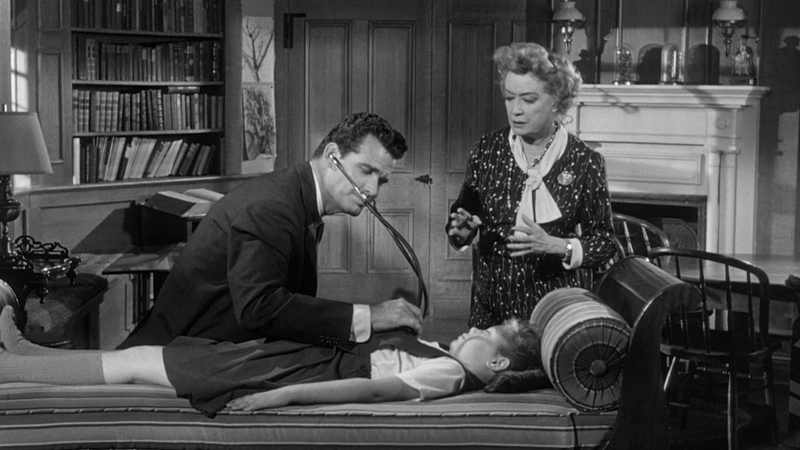 Having William Wyler at the helm again helps this film achieve far greater heights than the one before it. Those achievements further bolstered by the film receiving five Oscar nominations. 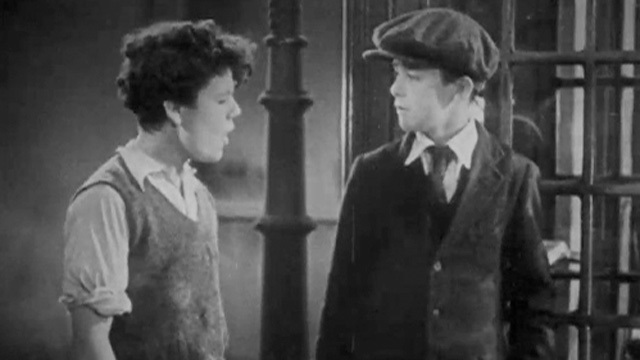 The first time I saw The Children’s Hour was during TCM’s 31 Days of Oscar and it’s interesting to note that in an interview segment with Shirley Maclaine she lamented, practically apologized for the fact that the subject matter though known to all was not discussed on set. She felt it showed in the finished product. I don’t believe it did, and it astounds me based on the results. Now that I think on that fact more that could have a lot to do with the way scenes played out on film that the cast was working under the discomfort that people in society felt in even broaching the subject and channeled it into their performance. Not to be forgotten in the midst of the tremendous work that Hepburn and Maclaine do in this film is the contribution of Miriam Hopkins as Lily Mortar. As Martha’s aunt and the school’s elocution teacher she plays a pivotal role in the proceedings. Mrs. Mortar is a far more insidious type as she’s an aloof, eccentric actress who seems silly and harmless until she gets angry and uses the words that can all-too-easily be misconstrued, and later damns the pair with her absence. Interestingly its Hopkins’ refined elegant air that here matured and combined with the eccentric behaviors she employs for the role of Lily that make the transition seamless. I was struck by this notion of playing different characters in the same drama ever since I saw a one-act play about an actress who spent her life in The Sound of Music transitioning from one role to another. It would’ve been fascinating to see Hopkins have completed a trilogy, but that’s just dreaming. Interestingly, in part because as a whole the impact of The Children’s Hour is so much greater than its predecessor’s that, Hopkins impresses and sticks in my mind more in the newer version with a supporting role than in the original where she was one of the leads. This is due to the aforementioned air, the key role the scenes play and the humanizing aspect Hopkins brings to the part. It can be far too easy to play Lily Mortar as a caricature, but to make her human, understandable even if intolerable is the task of a great actress. It’s an occasion that she more than rises to, but embraces. It is quite a small sample size, just two of over 50 credits, but it was great to have a chance to focus on her work in two versions of the same story. It was also great to be able to focus more closely on the adaptation and film-crafting of a story that truly moves me a great deal. For the Billy Wilder Blogathon I wanted to cover a film, in this case films, that occurred early in Wilder’s career. The reason is because while it’s nearly impossible to know film without having stumbled upon Wilder’s work (even by accident) I can’t claim any level of expertise. Furthermore, in blogathon scenarios I find that the more popular and well-known titles, in this case things like Some Like it Hot, Double Indemnity or Judgment at Nuremberg would be snatched up right away. 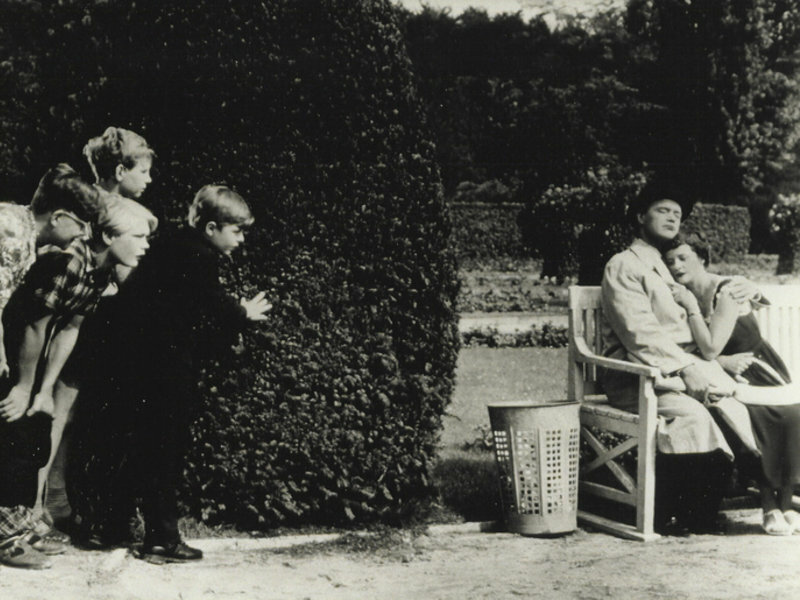 I was fortunate, however, to stumble upon the fact that one of Wilder’s earliest cinematic endeavors was the first-ever film adaptation of Erich Kästner’s classic children’s novel Emil and the Detectives. This particular version of the film I was able to find on a region 2 DVD set complete with the 1935 British remake, which by extension and its eerie similarity to the German version present early works of his screenwriting prowess. In many ways Emil and the Detectives offers quite an interesting case study in a few regards: first, it is a tale of such timelessness and universal qualities such that it has been filmed many times over and in many cultures, however, it also offers a glimpse into the zeitgeist of the borderland in time and politics that was the end of the Wiemar Republic and the rise of the Nazis in Germany. 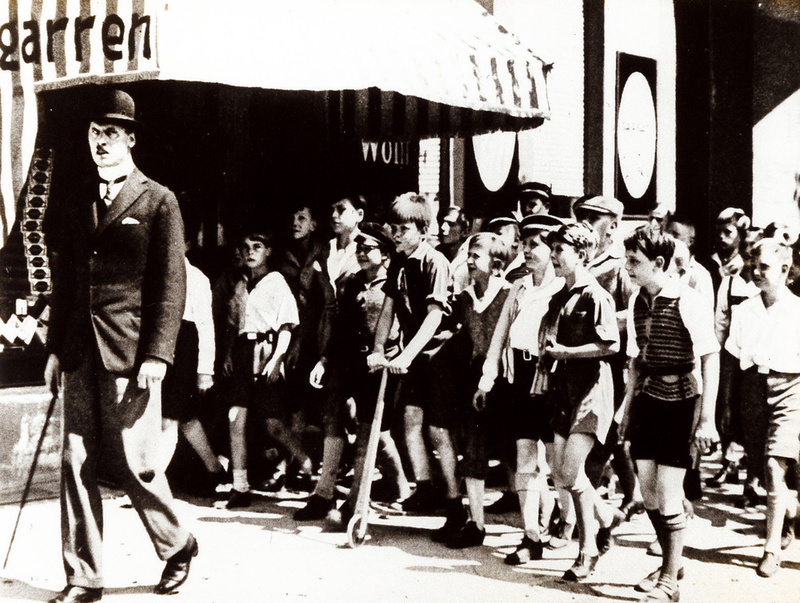 Less than two years after the debut of this film Wilder joined one of the throngs of German Jews who left his homeland for a long and successful career in Hollywood. Conversely, Kästner, while exiled and banned from publishing for a time due to his pacifism would spend the war and reconstruction in Germany to better report on events. 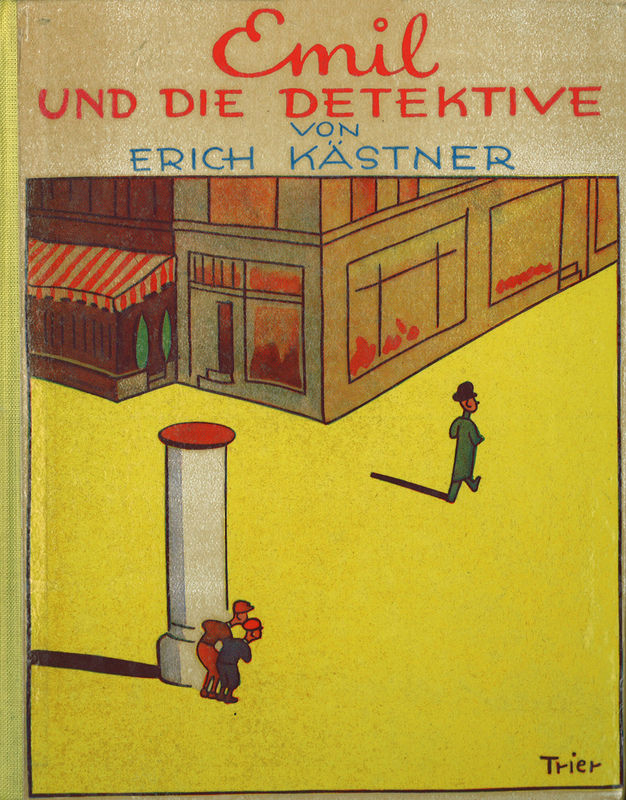 In a hallmark of Nazi hypocrisy it has been reported that Emil and the Detectives was spared from burning in 1933 as opposed to his other books even though it, too, caused a stir. My first exposure to this tale in anyway was the 1964 Walt Disney-produced version. Interestingly enough it ends up being rather a hybrid of the first two adaptations of the novel onto film. The actors are American but the story is German-set. As one would expect Disney is still Disney but much of the charm of the story still exists and it was one of my favorite film discoveries of 2012. This tale is German and translated, but with a solid cast, very well-composed cinematography and an engaging storyline it works fairly well. Clearly the standout the first time around was the visual-flair. 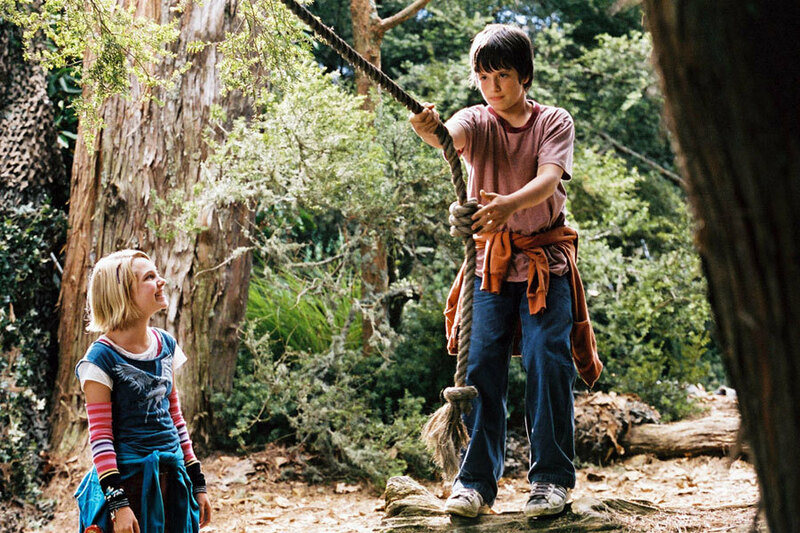 The kids’ world with adults on the periphery is there, it’s adventurous and fun but a safe world. What Wilder and the team brought to the 1931 tale, that is likely also part of the fabric of the book, is that there is a naturalism to it, which when dealing with a crime and solving it means there is an inherent level of danger. With Disney some of the edge is taken off and its clubhouse-like. What is delightful to see the seeming opposites co-exist naturally. While sticking fairly close to the source Wilder taps into and accentuates some of the universal truths of this tale and storytelling for young people that this narrative highlights. First, there is the introduction of the audience to “another world.” Though not a fantasy world in any sense, but rather just the big city we are still viewing somewhere fairly unknown to the protagonist and perhaps to us as well. The creation and depiction of the outsider is perfectly played. I would go so far as to extend that notion to any great children’s literature read at any age. For example, I first read Harry Potter in my senior year of High School, if I’m not mistaken, and as I made my way through that series I had that sense of yearning also. Now something else Disney did was to add a more fantastical feel to the tale. 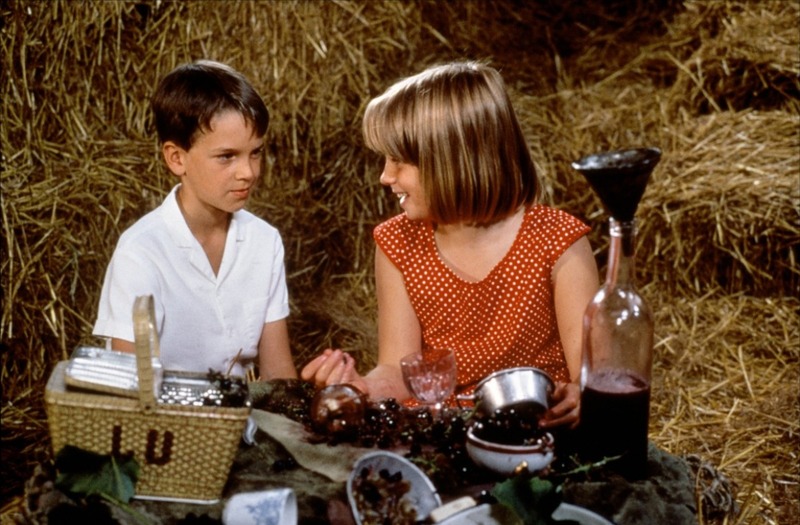 Whereas what was shocking and controversial about the book, and handled so well by the original film versions, was the naturalness of the setting in which these children find themselves. It isn’t a fantasy or a far off world, but rather these kids, much like those that lived at that time, much like you or I in real city with a very real problem. Perhaps it is that singular notion that has kept the story alive even through a period where the Nazis tried to rewrite German culture and Europe and the world wasn’t as willing to dabble in anything Teutonic. The trajectory of the project is one that will look familiar. It’s not that unlike a hot literary project today. It was published in 1929 was an almost instant hit. In 1930 a version hit the German stage, the adaptation by Kästner himself. The film rights were then picked up by Ufa. Although, a relative unknown at this point Wilder ended up working on versions of the film with Kästner and others. The success of People on Sunday had allowed him to become a professional screenwriter that the studio would tap for such an important project as this one. 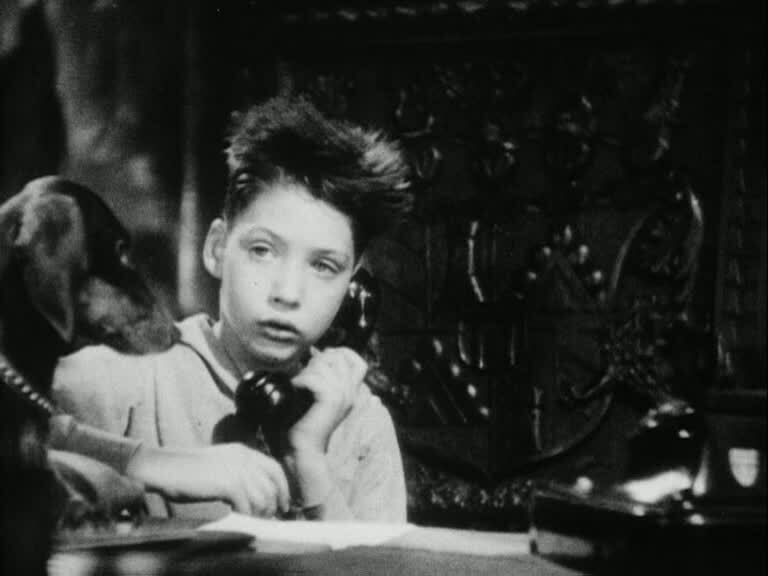 One thing that the 1931 Emil and the Detectives excels at is visual storytelling. It is one of the earliest and most important German sound films but it is not as stagebound as many early US talkies are. There are montages, moving shots around Berlin and a wondrous impressionistic dream sequence which is breathtaking. Suspense is built by watching, following or hiding and not dependent on dialogue exchanges for too much. This a lead-in to praise for this film, and in many ways, that can still be true today what’s key is that that the filmic touches are left to the apt maneuvering of the crew behind the scenes and the kids for lack of a better term just have to be themselves and seem to be selected specifically to be able to “be” their part rather than “play” it. As the date on the Film Quarterly review indicates the original film version had quite a legacy. 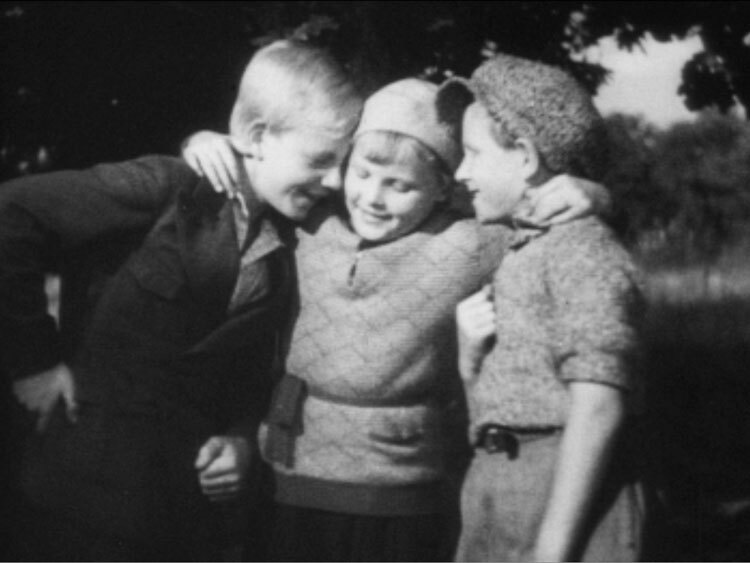 While sadly many of the young actors who took part in the film would end up dying on the front in World War II it did launch an acting career for three of its cast members Hans Richter, Martin Rickelt (then Baumann) and Inge Landgut. Such was its continued success that it was showed on Christmas in 1937 as Wilder was in the US and Kästner was forbidden to write. Now there are differences and she goes on to cite them in detail in the last paragraph but what she states there is essentially true. And assertions that this film was cobbled together mainly from the German shooting script, or film, or stage play in English are likely correct. However, the success of the film was similar in England. The original film played in the UK from April 1933 to January 1934; and a production of the play from Prague aired on BBC programme in 1934. The oddity of the remake is that though it runs about 10 minutes shorter very little of that is put to good use. A lot of that is accomplished simply by tightening the dialogue scenes. Some expedited scenes work fine, but overall the suspense is lessened. The change of venue from Berlin to London also does make a difference. Some of the vitality is robbed of it. It’s not just about the connotations each city brings with it, but the look and feel of it too. The Disney version which returns it there re-captured some of that. It does. What I was impressed by was how similar they were and that they both work well though the British one seemed to lack that suspense and grit, but it still quite enjoyable and it’s hard to find one remake so close to another – as Dixon rightly points out – that is not a foreign version shot simultaneously. When I was taking an introductory screenwriting course I remember our professor almost lamenting that we understandably were telling rather homey tales. The reason for this was that as writers having to only deal with the blank page there were no limitations. As writers the how things would happen and the cost of making them occur was really not our concern. One reason I’ve always recalled that is that is seems to be part of the path for many filmmakers. You seem to start with whatever rendition of a coming-of-age or first love tale strikes a chord with you. One example would be in Bergman’s oeuvre: Very early on he had young romances like Port of Call or Summer Interlude or Summer with Monika and later on he’d revisit some of the themes in his early works with more sophistication as he did in Fanny and Alexander. Many will be more like Wilder than Kästner. They will tell a child’s tale when feeling there is something they can say with it, as opposed to having it be their raison d’être due to some philosophical slant. Wilder has here a not dissimilar early career narrative to Bergman’s going from contributing to People on Sunday which was seen by many a slice-of-life of Berlin at the time. He then almost immediately moved on to sculpt another image of Berlin also real, but with flights of childish imagination that do not remove it from reality, but merely look at it in a different way. Tales that tend to pass from generation to generation are usually either perfect dreams or perfect simulacrum. 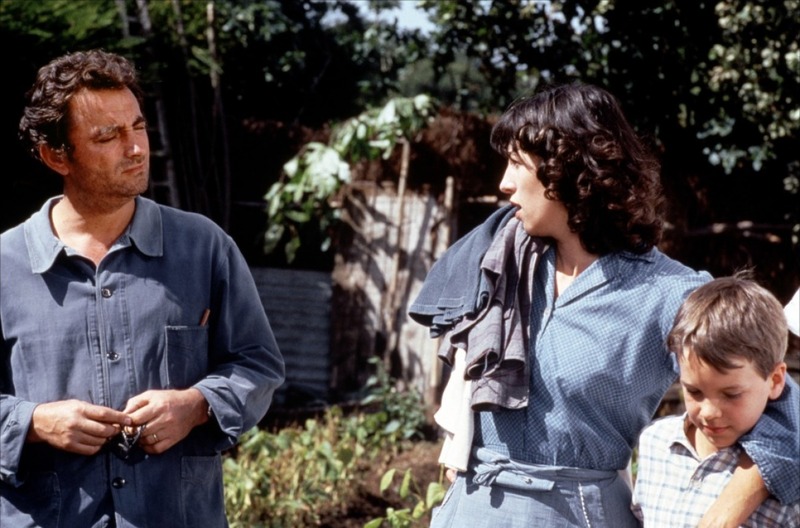 Emil and the Detectives, with Kästner’s blueprint, Wilder and the other filmmaker’s input may have blazed the trail for stories that balance the two giving an audience young and old an escape with a story that feels very real. It’s perhaps more interesting to see this film now as one can clearly see how earlier works influenced it and also how it intimated things to come in the careers of the makers, in the cinematic subgenre and the careers of those involved. 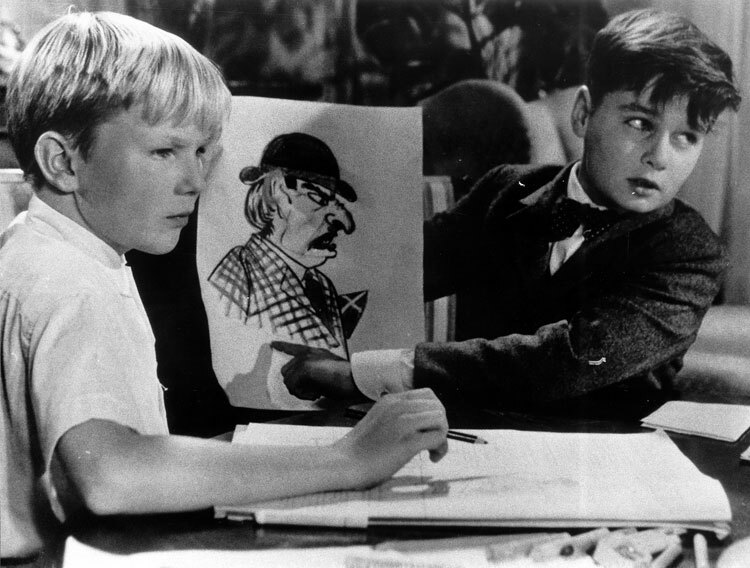 Emil and the Detectives is a film that would’ve stood the test of time regardless but it gains additional significance as a beacon both of a bygone time and also for the career that Wilder had in store. Themes are sometimes difficult to stick to. The way I usually manage to stick to them is by getting a bunch of installments written and ready and then scheduling ahead of time. Themes that I work on extemporaneously have a chance of being more inconsistent, or worse, falling into abandonment entirely. I say this because I have had it in mind to do this idea for quite some time. I have not made the intention to do this theme known here, just in a few conversations. The main reason I’ve not announced this one to try and get this one started, and to give themes I do not consider to be done, some staying power. Without much further ado, the idea I purport to embark upon is one I call Cinematic Episodes. This would be another cross-medium post wherein the link between cinema and another medium is explored. I have written about adaptations, films in books, characters in comics and other arts hitting the big screen. However, I recently have started to consider some of the technical, and in some ways, narrative similarities film and television have always shared and are starting to share. It’s no coincidence that on the day I sit awaiting delivery of Game of Thrones‘ second season that I post this, HBO and other cable outlets have truly blurred the lines more so than most in the past due not only to single camera approach, but also production values and elimination of the commercial break, thus, creating a more cinematic structure that builds its ebb and flow in a more traditional three-act manner than an hour of network television does due to the crescendo to commercial, the precipitous drop upon retuning and then the rise anew. However, many shows on many outlets come to mind when thinking of the parallels and the current landscape, which I will plumb for the examples I am familiar with. This evolution didn’t happen on its own. I will look back and try and trace, to the extent I possibly can, the evolution of the exchange of ideas. However, it’s not only a technique and structural focus. 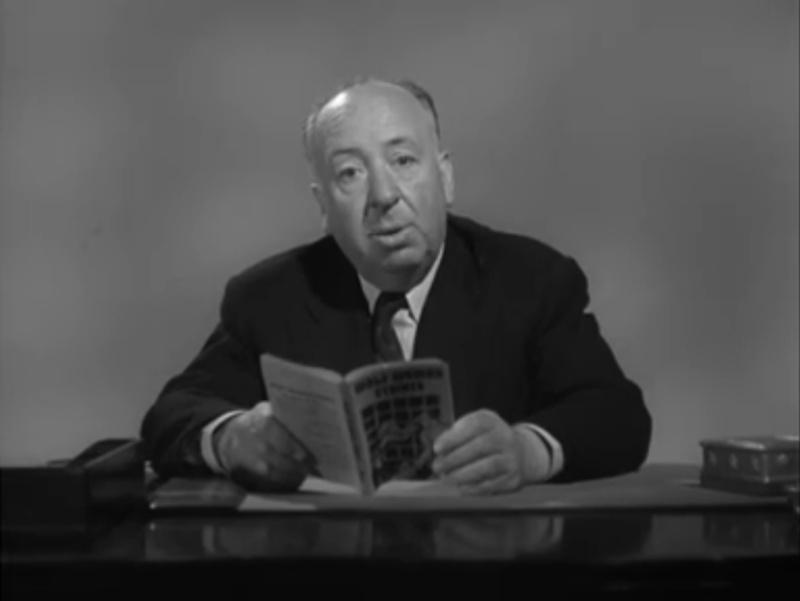 The first topic I thought of and will likely examine, with what I have access to are the Hitchcock-directed episodes of Alfred Hitchcock Presents. There will be other topics to examine, other specific shows, but I won’t be tiresome in listing them here. Essentially, any other medium in relation to cinema is worth taking a look at. I’ve always viewed film as a culmination of all the other arts since the advent of sound. With the introduction of sound elements of theatre were further added, music was added as a permanently affixed appendage rather than a variable live element, through the ages an artist’s touch in framing and composition, be it in color or black and white, has been needed. As any new form of communication and/or artistic expression has come about, film has been challenged, however, it perseveres both by adapting itself and also by an eventual embracing and exchanging of ideas and symbiotic influence. It’s been illustrated before with the rise of radio and then with television, the internet is the next frontier, but that landscape is still a bit nebulous. Film is not yet truly threatened or totally changed, similarly those making content for YouTube and other such sites are progressing, pushing back and breaking through but, still being in process, the changes are not yet as evident. Television being the middle child of “Threats to Film” has firmly established its foothold as a fixture, mostly due to its varied nature of content and usage, but on the entertainment side it remains vital. The last thing that bears saying is that the fallacious “which is better” arguement will not be found in this space – and considering the main focus of my site I doubt you want to read such an anti-climactic piece. As many similarities as I will find, and as many cases of shared influence I will illustrate both films and television work, or don’t, due to completely different reasons. If television is in a halcyon it’s certainly not due to the networks. It’s a bit like the major/indie dynamic in film. What’s pushing the envelope and advancing episodic visual storytelling is basic and prime cable original content. The Hitchcock piece will likely be the first. I have a definitely viewing list for that and taking an auteurist approach and looking at a different kind of show is actually one of the better easier way to start such a comparative analysis. Stay tuned. SPOILER ALERT: Since this is an analytical piece rather than straight-up review certain plot elements will be discussed in some detail. If you do not wish to know such information please stop reading now. I believe what struck me most about People Like Us is that while it shares a plot device with The Lucky One, namely a lie told (or if you prefer information withheld). The reason this struck me so strongly was that while this was one of the major encumbrances of The Lucky One I feel that People Like Us handled it better in many regards such that is allows the film to succeed. Now, the first way in which the secret(s) and lie(s) in these films differ is that in People Like Us it’s a far more tangible thing. Chris Pine’s character has just discovered that his father had a daughter with another woman. Therefore, he has to process and deal with this information. He had a bad relationship with his father, felt abandoned, but never knew about this. He has to sort it out himself. Furthermore, he discovers this in light of his father’s recent passing, where he is assigned to give her money his father left to her. In The Lucky One we understand the plight that Zac Efron’s character has: he feels that a woman in a picture was his lucky charm, the woman being a fallen comrade’s sister. With his struggles to adjust to life as a civilian he goes to seek her out, to what end he does not yet know. Now, he does eventually come to like the woman, and not the dream, and he does help give her closure about what exactly happened to her brother. However, his secret is not only far more nebulous, but is also one he comes much closer to having a chance to say. Essentially, if a confession in a film is a necessity you’re really walking a tightrope. The longer the protagonist is forced to withhold that information the more precarious he and his plight become. Now, the external and internal conflicts of People Like Us are so well laid out and the different avenues so well-examined that the cat’s-got-your-tongue situations end up being far less annoying in that film than in The Lucky One. Also, in The Lucky One it’s the kind of weird thing that you can either explain right away or you know you’ll wait on. However, the biggest issue is that he was so close to saying it and he just got motor-mouthed out of his opportunity upon first meeting her. Granted it’s a hard thing to say, but in People Like Us it was hard too but the film allowed the protagonist the opportunity to make the decision to wait on his own with minimal outside influence. Neither scenario is really ideal for a prolonged secret, however, I feel People Like Us played it better than The Lucky One did.